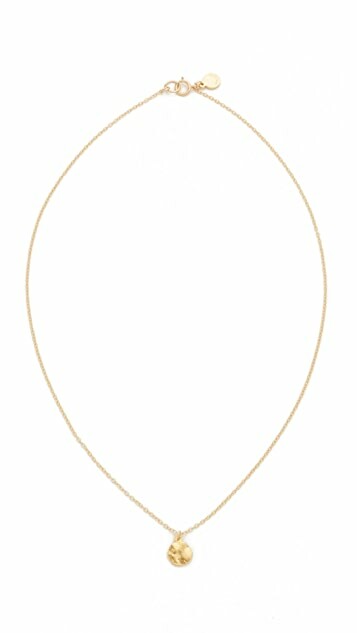 This 18k gold-plated Gorjana necklace features a tiny hammered disc pendant. Ring clasp. 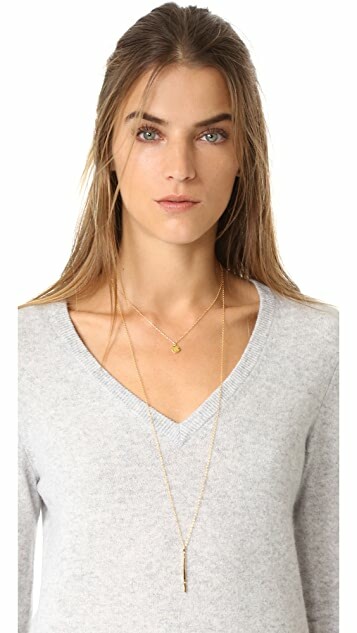 I really like this necklace, it sits at a great length on the collar bone, very delicate but stylish at the same time. I bought it on sale so I was happy with the quality for the price. Not sure I would pay AU $58 for it but very happy with it for the price I paid. 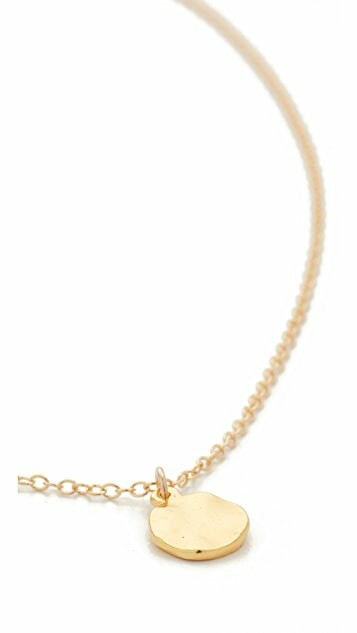 A delicate and subtle necklace. Sits beautifully just below the collarbones. Purchased a gift and they absolutely looked it! Cuter in person and not as shiny. Love Gorjana! 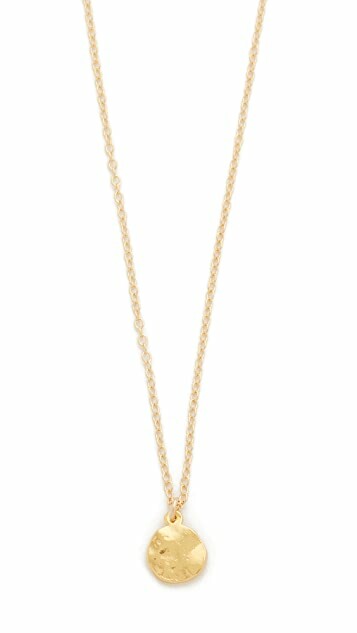 This is such a pretty necklace, and such a good price! totally worth it! This is such a beautiful piece. It is tiny but very pretty and elegant!! I've received multiple compliments on this necklace, and it's been a staple in my jewelry collection. I'm giving it four stars only because I wish I could remove the pendant and occasionally use the chain with other pieces. Love it. Very small, dainty, feminine and shiny. Beautiful necklace! The pendant is right on my collarbone. I was looking for a simply piece to finish off casual clothes and work clothes - this is it! It is very simple and understated, but you can layer it and it looks amazing. On it's own it is flattering. Only tiny but I love it, very sweet.